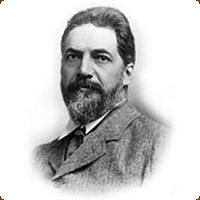 William Matthew Flinders Petrie began his long career as an archaeologist when he was a young man. Petrie's father was a surveyor who taught his son how to use the most modern surveying equipment of the time. This early training instilled in the young Petrie a respect for measurement and accuracy, which would inform and influence his life's work in archaeology. The measurement of ancient monuments had fascinated Petrie for many years and in the early 1880's, he journeyed to Egypt to measure the Great Pyramid at Giza. Petrie set out to test the theory put forth by a contemporary writer that the pyramids had been built with divine assistance, and that in its measurements could be found secret messages and profound truths about the history and destiny of the human race. After spending months measuring the Great Pyramid, Petrie satisfied himself that the measurements, which had led to the theory, had been inaccurate. During this time in Giza and in neighbouring areas, Petrie developed an intense love for all things Egyptian. He would devote the rest of his life to the study of ancient Egyptian language, culture, objects and archaeology. Petrie went on to lead excavations at many of the most important archaeological sites in Egypt such as Hawara, Meydum, Abydos and Amarna. He developed a method for establishing the historical chronology of a site based on identifying different styles of pottery. Petrie was known and respected for his belief in the importance of evidence like potsherds for informing the archaeologist about life in the past. He believed that this type of evidence was far more useful and informative to the archaeologist than individual, spectacular objects. In 1892, Petrie became the first Edwards Professor of Egyptian Archaeology and Philology at University College, London. Amelia Edwards who was a keen supporter and admirer of Petrie had funded this chair. Petrie continued to excavate in Egypt after he took up the professorship at University College, London, digging at major sites like Ballas, Naqada, Abydos, Gerza and Tarkhan. Some of the objects, which were found at these sites, ended up in Petrie's collection, but the majority went to the Egyptian museum and museums around the world. Petrie was a pioneer in the field of Egyptian archaeology, with his careful and scientific excavation techniques. His emphasis on recording the physical dispersal of objects in a site rather than simply digging for objects made his excavation techniques unique for his time. Petrie trained many of the best archaeologists of the day who worked side-by-side with him, learning his techniques. Through his excavations, Petrie was able to establish a chronology of some of the earliest period in ancient Egyptian history. In addition, he discovered the earliest form of the 'Proto-Sinaitic' alphabet on one of his digs in Sinai, thus contributing to the ongoing study of the origins of scripts in the ancient world. As a professor at University College, London, he taught students about the importance of studying archaeological data and developing a historical framework to create a better understanding of the past. In 1913, Petrie sold his large collection of Egyptian antiquities to University College, London, thus creating one of the largest collections of Egyptian antiquities outside of Egypt. Petrie's collection consisted of thousands of objects, which he had collected over the years while excavating in Egypt. This collection was unique for its large number of 'ordinary' objects illustrating aspects of daily life and belief in ancient Egypt. Petrie retired from University College, London in 1933. He spent the final years of his life excavating near Gaza and died in Jerusalem in 1942. When he died, he left behind a formidable legacy of scholarship and achievement in the fields of archaeology, philology and Egyptology.